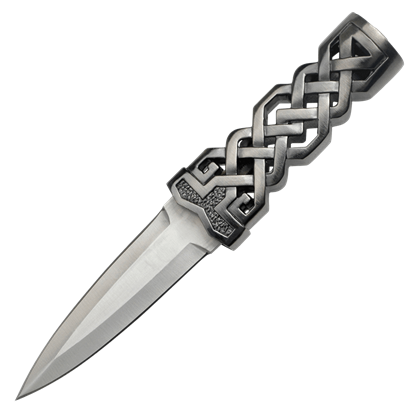 We carry many unique Scottish and Celtic daggers inspired by different historical blades. 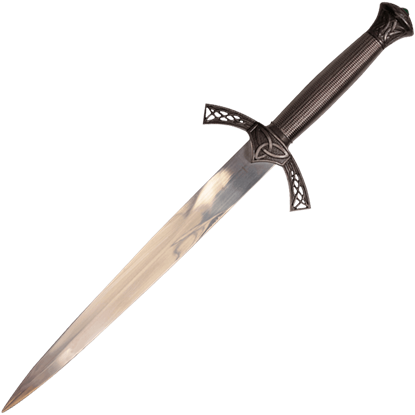 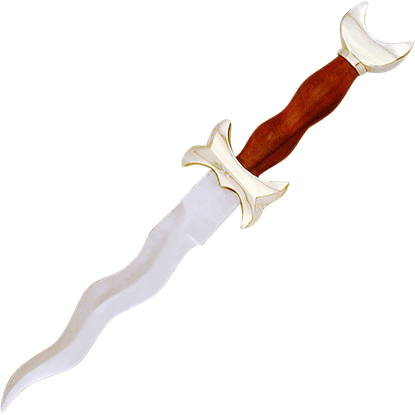 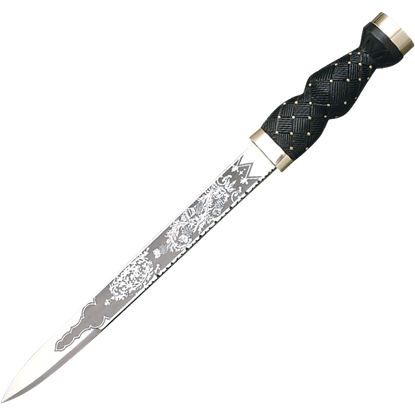 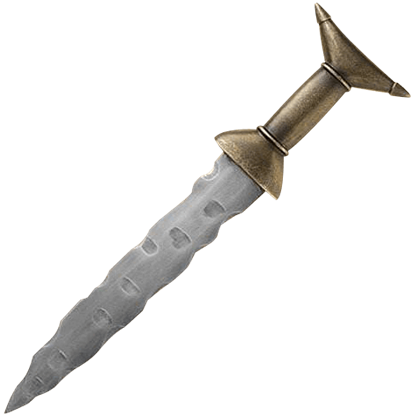 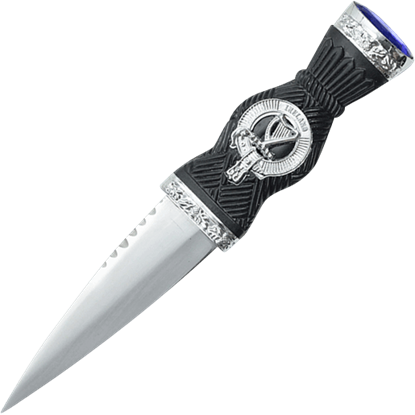 The Scottish dirk is one of the most well-known Scottish daggers, descending from the medieval ballock dagger. 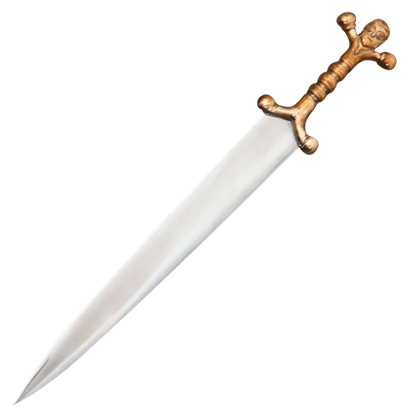 This Highlander dagger, wielded by various regiments, had a heavy blade that was thick at the back and a single edge that was tapered uniformly from hilt to point. 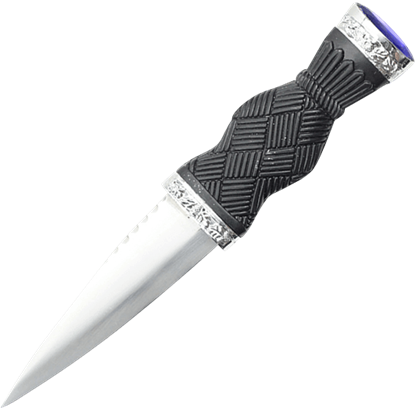 Another common historical dagger was the sgian dubh, which was originally kept as a concealed weapon in a boot and could double as an eating utensil. 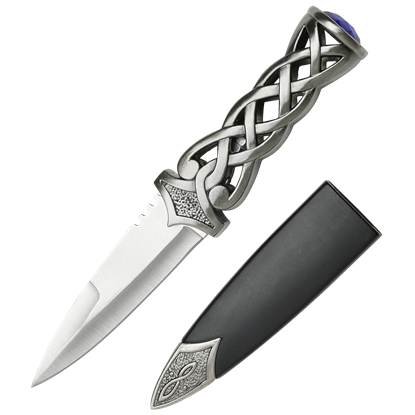 Over time, these Scottish blades have gained prominence as ceremonial daggers with gemstones set into the pommels and intricate ornamentation. 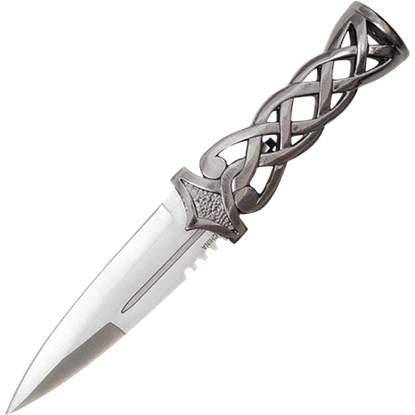 These Scottish and Celtic knives make excellent collectibles, though many of them can also serve as functional daggers, as well.